I don’t want to make a habit of reviewing other blog posts in my daily “Article of the Day” series, but this one was just too amazing to pass up. Paul Michael over at Wisebread wrote The Financial Wisdom Of Fight Club. First, this is one of my favorite movies of all time. Wanna see a flick that oozes manliness? Rent or buy Fight Club . 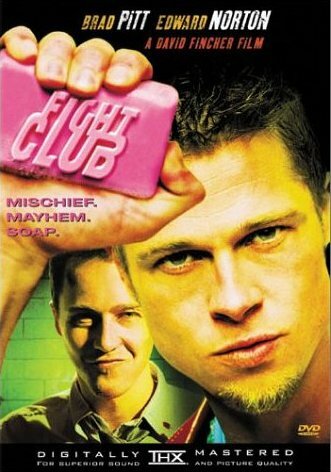 The premise is a little hokey, but Tyler Durden (Brad Pitt) is completely ripped in this movie and his character just screams some manliness traits that are impeccable. There are too many to list, but the movie is so freaking good, I have decided to add the main point of Paul’s article to my list of Manliness Traits: The Things That You Own, End Up Owning You. Now, the article that WiseBread published is about personal finances. They are a wonderful site dedicated to the way of frugality and simplifying the world of personal finance. They are just one of the many that I subscribe to via RSS and I recommend them. 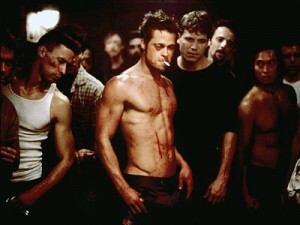 In Fight Club, Tyler Durden took lack of ownership to the extreme. He didn’t work, he lived in a house that had been abandoned, he had no job and he bought nothing than food and clothing. For most of us, that’s not really an option. He attempts to point out the very familiar and timely distinction between wants and needs. When you think about it, this is the cornerstone of our consumer society. We have moved away from identifying these two in their respective ways and the line between them has not only blurred – it has merged into one category. In summary, the renaissance men that bled manliness from their pores always new the difference. Men who have drifted too far into the abyss of comforting their every want with “something” and then wrapping that up in an excuse labeled as a need, should go watch Fight Club tonight.